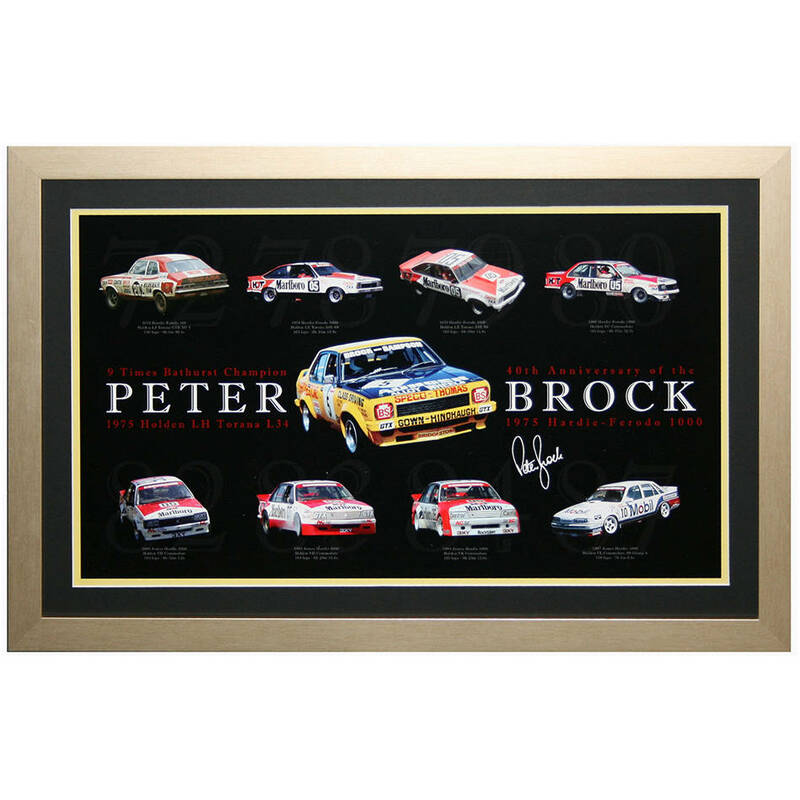 Licensed by the Peter Brock estate, this fine quality framed print also includes a printed signature of Peter Brock and each of his 9 Bathurst winning cars. Peter Brock won Bathurst for a record nine times the only driver to achieve this. The collage has an image of the cars that he drove in 1972, 1975, 1978, 1979, 1980, 1982, 1983, 1984 and 1987 to victory at Bathurst.